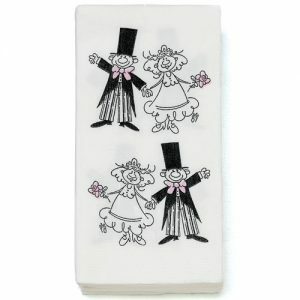 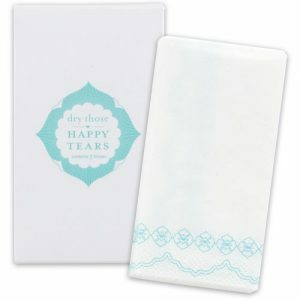 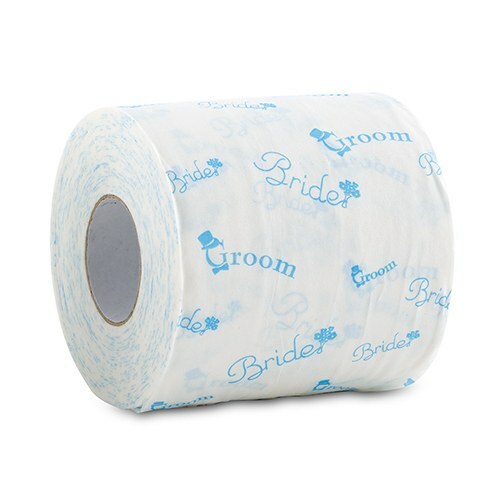 This festive 2 ply toilet paper is printed with “Bride” and “Groom” in a cheerful sky blue. 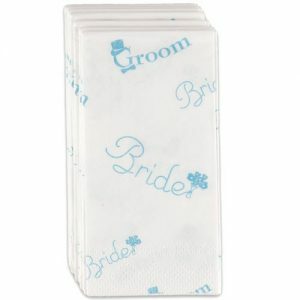 Plan to use it at pre-wedding parties or at the wedding venue. 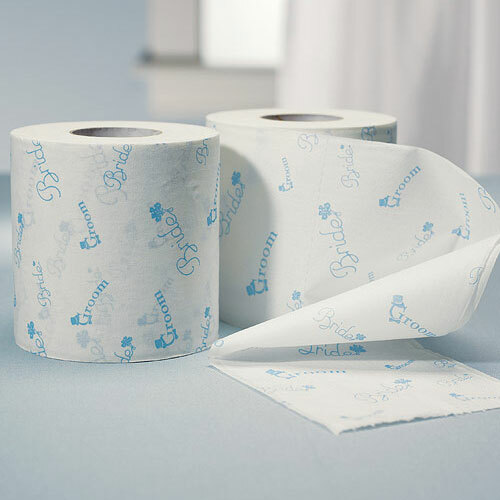 Guests will be entertained to discover the ordinary toilet paper has been swapped out with this item.